Being a long term member of a facebook group called HighVayKings, saw the announcement of their annual meet 2013 somewhere in the mid of september 2013. Puzzled reading the location called Rann of Kutch. Immediately pinged Mr.HVK and asked what is Rann of Kutch? for which he replied with some Google links that started tempting me. Mind started thinking faster.. hook or crook I should make this one!. Rann of Kutch is in Gujarat and the nearest Railway station is Ahmadabad. Started exploring the various possibilities to reach there which should also be economic. HVK sir suggested me to take a flight and reach Ahmadabad from where there are lots of options. But the flight ticket costs 8500 one way. Mind started calculating 17000 rs both ways towards travel plus AIM charges which may be another 5000 where the total estimate could be 25K approx. Period. Tried exploring to reach by train. Found train no. 12656 – NAVJEEVAN EXP that starts from Chennai on 25th Dec at 9.35AM and reaches Ahmadabad on 26th Dec at 7.35PM and the AIM convoy will be passing via Ahmadabad only the next day 27th Dec post lunch. Also returning back to Chennai the train starts early morning 6.40AM on 29th Dec. But the AIM convoy will be passing via Ahmadabad only post lunch. In both the cases I am left alone and the feasibility got ruled out. Mind felt maybe this is not my cup of tea! AIM package was announced which was Just 2500 rs. Started re-thinking. By this time people started posting their travel plans in the forum. I was closely following the threads to find someone is going from Chennai. To my bad luck, there was no one from Chennai.. but a someone from Bangalore has posted that they have a seat left which I failed to notice. Getting closer to the D-day.. felt bad myself for missing this as there were no other trips happening at the moment. Felt to try the last chance to explore the possibility by posting in the forum whether someone is attending the event from Chennai.. there came a positive response by a person named Karthi velusamy from Tirupur who said that there were no one traveling from Chennai but we have a team of 4 people traveling from Bangalore and have a seat left. If interested you can join us from Bangalore… Immediately asked for his contact number and spoke to him. Discussed the travel plans and costing which was pretty do-able for me. The most interesting factor that tempted me a lots is their travel plans that covers almost the western coast. 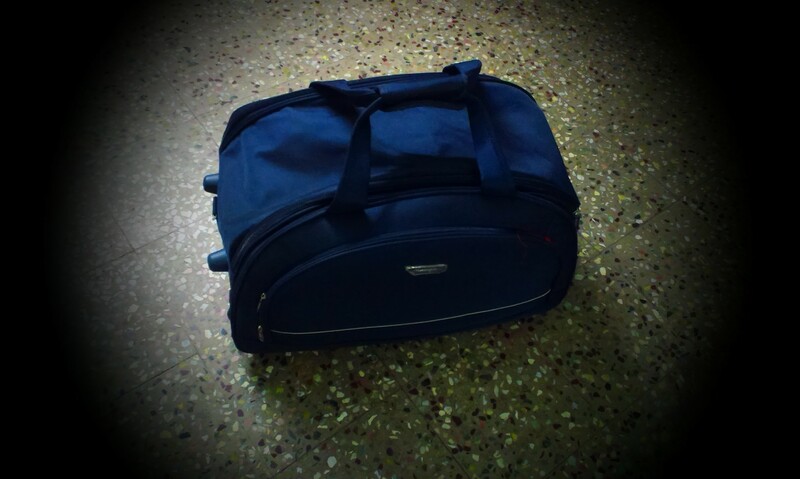 Started working on my travel itineraries.. booked tickets from Chennai to Bangalore on 23rd Dec. Rushed all my business activities to Dec 20 as if the world is going to end the the day next. Enabled vacation notice in all my emails. Dec 21: Started feeling feverish.. All my travels till date was with a known circle of friends who treats luxurious. Mind felt tensed as I am going to travel with strangers for the first time in temperatures less than 10 deg with my health conditions. Got advice from my cousin who is a medical officer to remain cool instead of being tensed will make me feel fresh. Dec 22: All set to go. Don’t know what to do.. simply stared the calendar. Kept checking Facebook for last minute updates. Saved all the contact info of my fellow man. Dec 23: Felt every second of the day to be a longer duration. Finally started from home around 9PM and boarded the bus at 11.35PM. Interesting read… stimulates the reader to see the next page. Superb.